With all the new books on the horizon this time of year, there are also a bunch of swoony covers on the loose. Here's a quick round up of five favorites. 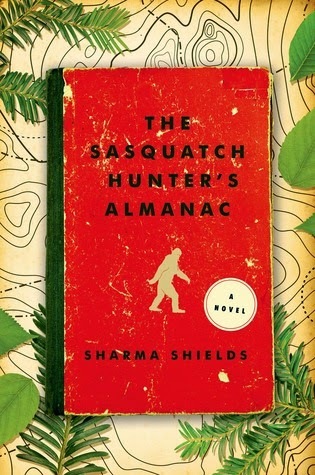 The Sasquatch Hunter's Almanac, by Sharma Shields, is a book I want to read and pet. This is a fairly common theme throughout these picks, but in particular, I love the aged look of this one with the graphic topographical map in the background. Graphic and grunge. 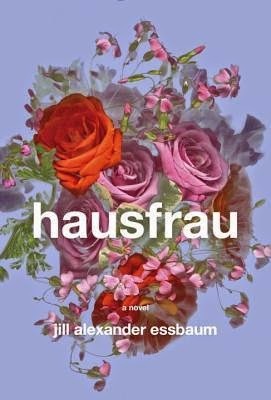 I'm not one for flowers, but hausfrau, by Jill Alexander Essbaum, is gorgeous! Maybe it's a part of me longing for spring, but I want to stick my face in that bouqet. 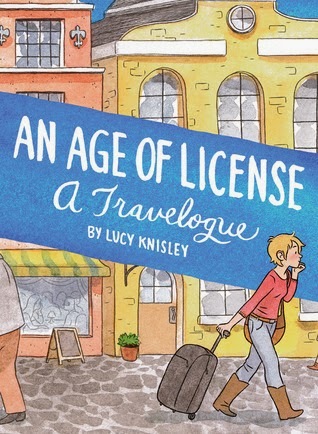 An Age of License, by Lucy Knisley, is a book I finished just this weekend, but like all of Knisley's work, I'm completely in love with her candid personal storytelling as well as her art. This book, unlike Relish, is not all color illustrations, but they're still a delight and there's the sporadic color illustration included. It's kind of like finding little treats throughout the book. You knew this was coming. Of Things Gone Astray, by Janina Matthewson, is beautifully illustrated. I wish I could draw like that! And from what I read in the reviews (like Doing Dewey's), the inside is just as magical as the outside. 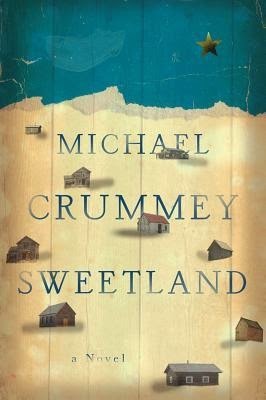 Sweetland, by Michael Crummey, has one of the most atmospheric covers of the bunch. This one just screams to me. I want to know what's going on in these houses. This neighborhood? Need it! Which covers are calling to you? Of Things Gone Astray looks gorgeous, the type of book I would keep in my bookshelf facing out so everyone can see it! My two favorites on your list are Hausfrau and Of Things Gone Astray. Me too! So so so pretty! I could not stop petting The Sasquatch Hunter's Almanac when I got it. The design is so pretty, and the spot gloss on the red book cover just takes it to the next level. The covers for Hausfrau and Of Things Gone Astray are also gorgeous. Of Things Gone Astray is gorgeous. I'm so excited to read it (and maybe gaze for a while at the pretty cover)! Definitely give it an extra gaze for me! I just have the digital edition, and it's not quite the same effect. I'm so in love with the cover of Hausfrau...and I love even more that it's such an anti-cover for the book, which is not pretty at all. Haha! I thought that might be the case: pretty on the outside, ugly on the inside. I can't wait! I keep seeing the Hausfrau one on FB and thinking it would make a cool tattoo. Right??? I can totally see that. of things gone astray makes me want cotton candy. Ooh, yes! I knew it reminded me of something, and that's spot on! Age of License and Hausfrau, definitely! Lots of good looking books there! I have to agree with you about all of these covers, especially Sasquatch. And I definitely need to read the Sasquatch Hunter's Almanac, Sweetland, and An Age of License! 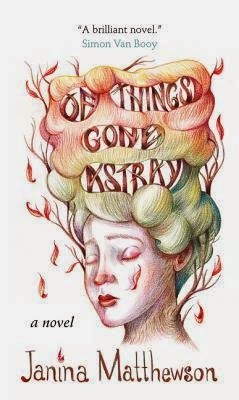 I adore the Of Things Gone Astray cover! And the inside really is just is whimsical as the cover :) I haven't yet picked up hausfrau, but that cover really pulls me in too. Of Things Gone Astray is AWESOME. Both the cover and the prose. It's a wonderful story and I'm glad it got an equally wonderful cover.